Dave's Beer: A well deserved break after a grueling season. A well deserved break after a grueling season. A well deserved break after a grueling season., originally uploaded by Seligmans Dog. Frankie muscled out a couple seasons as a Mustang in the tiny tots Whetstone soccer league. Towards the end, she actually started to play well and liked it. She even signed up for next season. 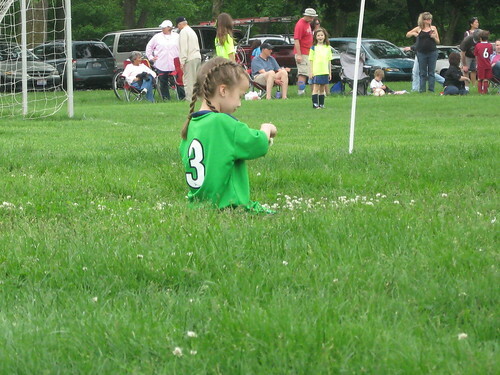 Towards the end of the last game of the second season, she sauntered away to sit among the dandelions for a break. Opus from Bloom County used to take dandelion breaks. That's neat. Opus was my favorite.